Sending funeral flowers is a wonderful way to show that you care about the deceased and the family of the deceased, but sometimes in the chaos of grief and everyday life, sending funeral flowers is forgotten. Don’t panic! It isn’t too late to follow funeral flower etiquette and express your sympathy to the family. In fact, the most significant part of funeral etiquette is to remember the family after the funeral, which only lasts a few days at most. The grief of the family lasts much longer and they are in need of support for quite some time. I know in my family, it is the months after the funeral that are the hardest and the loneliest. 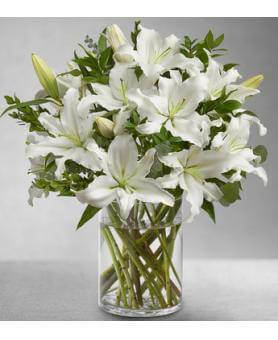 If you forget to send funeral flowers, it is never too late to send a sympathy bouquet to the home of family members. 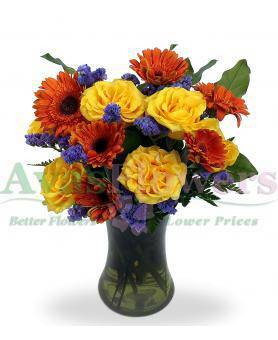 Sympathy bouquets are very popular – I receive many orders for flowers after funeral services. Sympathy arrangements are smaller than the large, showy arrangements appropriate for funerals. If you know that the deceased liked a certain flower or color, it is appropriate to send an arrangement of those flowers or colors. The family will appreciate this remembrance of the deceased. Sometimes you will see funeral flowers and sympathy arrangements in somber or pastel colors. Don’t feel like it is inappropriate to send bright, colorful flowers-they represent happy memories, hope, and new life. If you are still uncertain as to what kind of flowers to send, consider looking into the meaning of certain flowers and send ones that speak for themselves. For example, chrysanthemums symbolize friendship and rest; irises symbolize appreciation of friendship, hope, faith, and valor. You can also ask the florist’s advice on what to send; florists are quite familiar with funeral flower etiquette. It is also appropriate to send a basket or pot of living plants. I personally love living plant arrangements as much as flower arrangements, as they serve as a living memorial of the lost loved one; however, everyone is different. 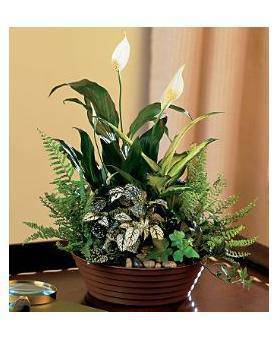 Chances are if people like houseplants, they will probably like living plant arrangements. 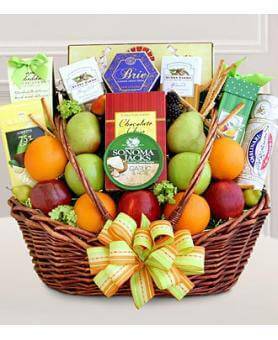 Another option is to send a sympathy basket of food, like fruits, cheeses, jams, and crackers. This is an especially good option for the first weeks following a funeral when family may not feel up to cooking. It is also a practical gift for families that do not want flowers because of allergies, cultural traditions, or other reasons. Whatever you choose to send, make sure to send a card expressing your sympathy along with the arrangement; you may want to include a fond memory you have of the deceased. Grieving is not over when the funeral ends. Depending on how close you were to the deceased or the deceased’s family, there are many different ways to show your continuing care. I think that phone calls and cards checking in on the family and inquiring if there is anything they need are very important in the weeks and months after the funeral. Bringing food, offering to babysit, and just letting the family know that you are there and you are still thinking of them means a lot. Sending flowers after funeral services at any time shows that you care and brightens someone’s day. You may want to send a bouquet months after sending a sympathy bouquet just to give some extra cheer and support. As you can see, there are plenty of ways to redeem yourself if you forget to send funeral flowers.